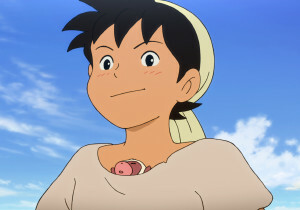 A hardworking and curious boy named Sinbad dreams of becoming a sailor and traveling around the world someday. One day, a neckless falls out of the sky, followed by a mysterious girl! Sinbad is embroiled in a melee of the girl and a group of man who chases her by flying carpets. Inspired by One Thousand and One Nights (Arabian Nights), SINBAD is full of exciting, thrilling and fun moments that both kids and family can enjoy!